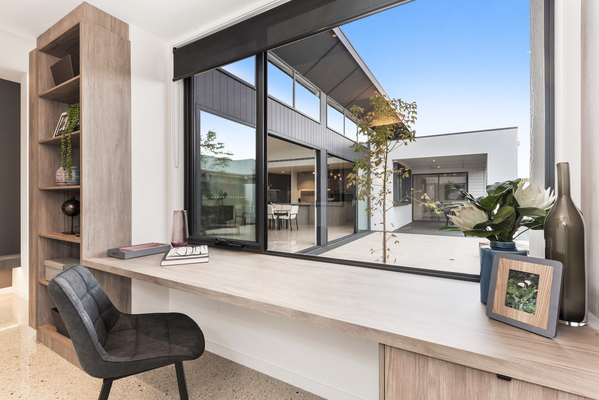 The sleek architectural lines of the Madison display home design recently added another industry accolade for Geelong-based home builders over the past 50 years, the Malishev family. 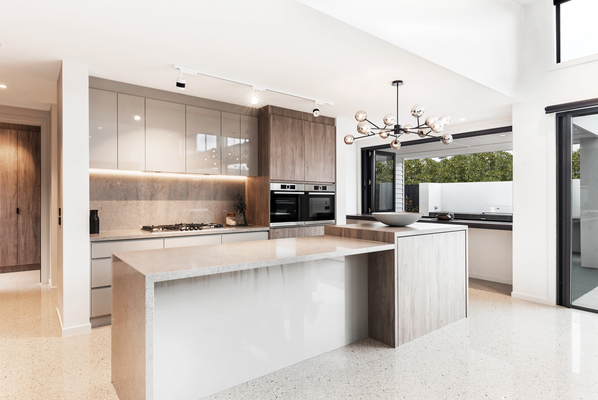 Their stylish and newly-built Madison dominated as Best Display Home in the $500K-$750K category for the 2018 MBAV Excellence in Housing Awards earlier this year. Malishev has now won more than 100 national, state and regional awards for its unique designs, attention to detail and high quality homes. Established locally in 1985, Q by Malishev delivers high quality and great value homes with a complete custom design service. The Madison is all about family living with clever zoning around a magnificent central communal indoor/outdoor living area. Inspired by mid-century architecture, the Madison caters for the most discerning buyers’ modern expectations. Its north-facing open plan living is designed for entertaining family and friends in style. Sales manager Luke Walters said the 2018 MBAV award achievement was still a thrill for the Malishev team. 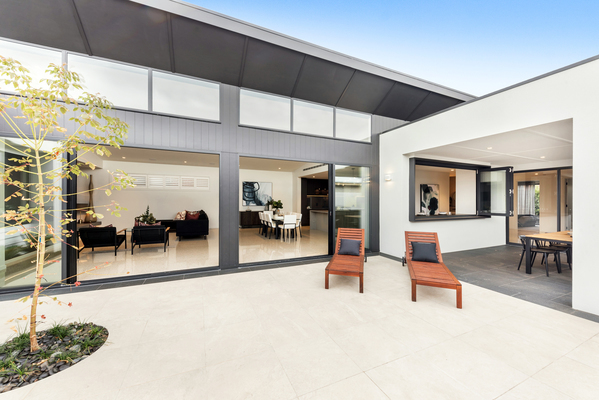 “It’s always nice to be recognised in the industry by the Master Builders Association of Victoria,” he says. 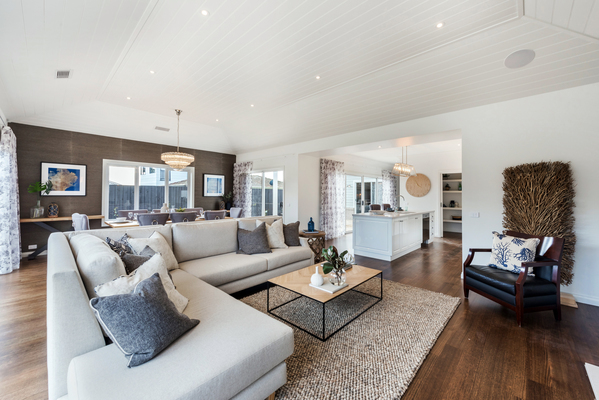 “Our two new signature homes, the Mayfair and Madison, are both open for display and have been well received with good numbers through to view them,” Luke says. 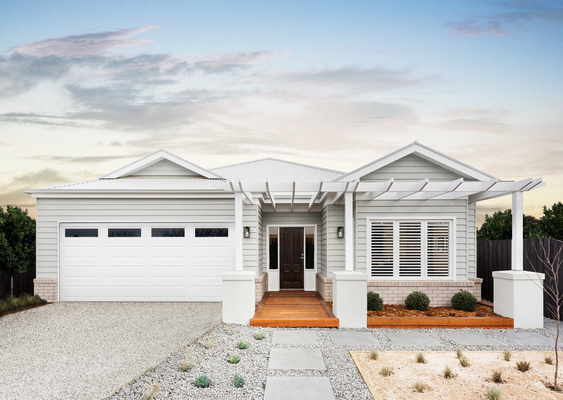 The Mayfair is an appealing Hampton’s inspired home which takes timeless classic style to new heights. It offers charm and character and interior luxury yet has been adapted to suit the Australian lifestyle. 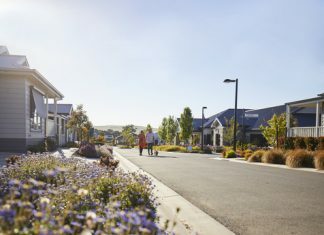 Q for Malishev builds primarily in Geelong, Surf Coast and Bellarine Peninsula areas with projects extending mainly between Little River and Anglesea. 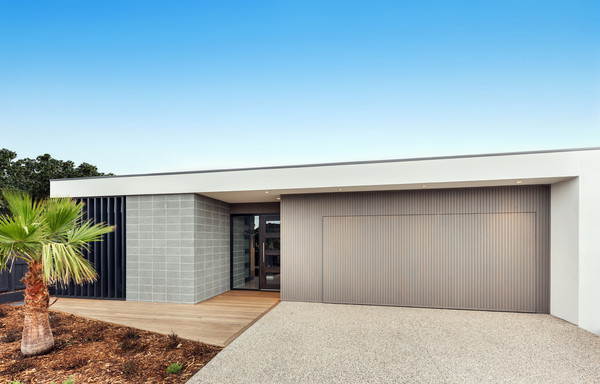 The company also focuses on residential knockdown and rebuild projects in existing Geelong suburbs. 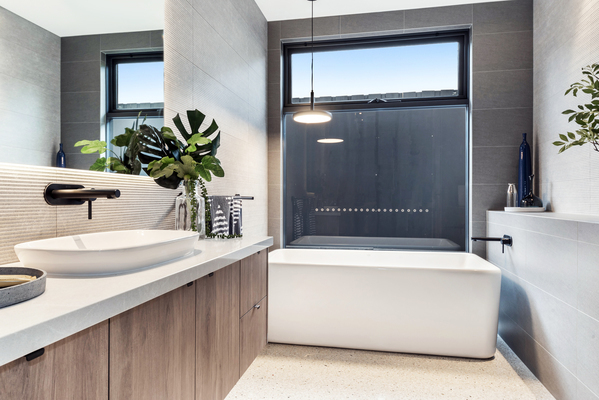 This is becoming extremely popular with older homes amongst Newtown, Belmont and Highton, for those who love their current address but would like a fresh new home to live in. 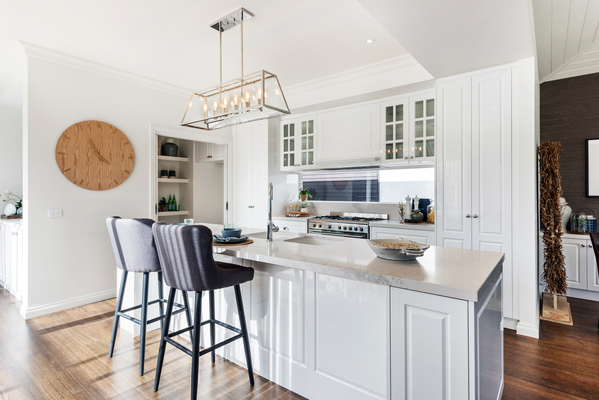 Beyond its designer range homes, they offer custom homes, split level homes, acreage homes, unit developments and specialise in building on sloping sites. Q by Malishev has an extensive range of pre-designed plans available to suit all blocks and budgets. The company can take care of everything from initial concept designs through to permits, construction and interior design. Their homes not only stand the test of time but are also known for achieving above-market resale value when sold on. The Q Display Centre is now open 1pm to 5pm daily at 289-291 Torquay Rd, Grovedale. Malishev’s office is at 121 Myers St, Geelong. For more information, phone 5229 1129, email sales@malishev.com.au or visit qbymalishev.com.au or malishev.com.au.